Indecision may or may not be my problem!! Coors expansion into the eastern United States in the early 70’s created quite a stir as it was not unusual for Coors to receive more than 1,000 franchise applications in a major market. The applicants came from various backgrounds, but most had no experience in the beer industry. Because even small franchises were worth several hundred thousand dollars the minute the first case was sold, applicants spared no cost with their presentations in their attempt to gain the brand. Other then the Coors expansion, there was very little activity in the way of new brands. Sure, Molson expanded south, which created some initial excitement, but most other brands, including Corona, struggled. Then in 1983, the clear bottle appeared. Many distributors, to their detriment, turned down the brand at that time. By the 90’s, consolidation started to gain momentum and many distributors expanded their portfolios to include imports and early craft beers, among them Anchor and Sierra. By the time I got to Gambrinus, Corona was on fire and I was receiving multiple calls from distributors requesting the brand. Many of the distributors wanted me to terminate the existing wholesaler and award them the brand. They had not wanted Corona 10 years earlier, but now they did. In the early 2000’s, Glazer’s had Modelo for all of west Texas and a large portion of east Texas. The AB network, who serviced these markets, offered to buy the brands from Glazer’s. Glazer’s responded with a price of $50.00 per case, AB felt this too high, so Glazer’s kept the line. Now, after all these years the AB guys might be kicking themselves for not jumping on that price. Several years ago, as President of Warsteiner, we had a distributor change in southern California. There were a hand-full of distributors who expressed interest, so I met with them and presented the marketing and business plans. I also contacted all the other distributors in those markets. From many, I did not even receive a call back, but from those whom I did hear from, they were either not interested or wanted us to put a rep in the market to sell the beer for them. Not one distributor was interested in reviewing our business and marketing plans. While at Glazer’s, it was my responsibility to seek out and acquire viable brands for all the states. Some brands obtained were New Belgium (prior to my time at Glazer’s), Stone Brewing, Cristal, Asahi, Sleeman, Mike’s, Boston, and many others. We were very successful in building the portfolio. These days, with all the new craft brands, distributors are swamped with requests from breweries. Not too many years ago, the mind-set was, if my company does not take a brand, my main competitor will! Now all that has changed. It has become very difficult for any vendor to get a meeting with a distributor. So the question should be, how can a distributor make any kind of informed business decision about a vendor without first seeing and reviewing their brands, marketing, and business plans? The next Corona could be at the front door. Do you want to be one of those who turns down the next Corona? Your indecision may or may not be my problem!! Are you trying to get the sun past a rooster? I used to like to play competitive golf and did so until 10 years ago. These tournaments were local, regional and state events. Over the years, I noticed that an increasingly large number of contestants were reinstated amateurs who, at one time, had been professional golfers. Most of these golfers were very competitive and frequently lead or even won the amateur tournaments in which they played. The USGA will reinstate a pros if he/she writes to them and requests reinstatement of their amateur status. Typically one must wait a year once application for reinstatement has been submitted before reinstatement occurs. Jack Nicklaus’ son Gary, who was once on the PGA tour, is a reinstated amateur and made a run at this year’s US Amateur title. I always thought that if one was a pro, say for 10 years, and decided to return to amateur status, one should wait 10 years, as these players have a decided advantage over the players who never turned pro. It didn’t seem right to play against a former 15-year pro who had turned amateur only a year earlier. If that seems a little harsh, perhaps a five year wait period could be considered. Much has been written about the ABI/Modelo transaction and how it will be approached by the DOJ. As I write this article, there is talk of the DOJ forcing ABI to delegate another brewery to produce Modelo products for the US market. If this transaction goes through, ABI will control, either directly or indirectly, almost 60% of the beer volume in the US. Now I hear the DOJ and ABI are discussing long-term pricing and supply issues with no discussion on any divestiture, there are, however, rumors of eliminating the newest brewery in Mexico. As previously written in last summer’s blogg, “You Are What You Are,” I mention that pricing is the key platform in ABI’s overall strategy to control as much of the US market as possible. The three-tier system and franchise laws continue to be what hold ABI at bay, however, they are trying to work around it with programs including the “anchor wholesalers,” new products and line extensions. Also helping is the changing consumer who is seeking and embrasing all the crafts and alternative beverages, such as ciders. They are a small, but growing factor. Rest assured, ABI will not stop with the Modelo acquisition, regardless of how the DOJ rules. Perhaps the DOJ should approach ABI like the USGA handles a reinstated amateur. Since ABI is buying 5.7% share of the US market, they should divest 5.7% share of their current portfolio in an effort to level the playing field. Or, is the sun just trying to get past the rooster? Everybody wants to get to heaven but nobody wants to die! 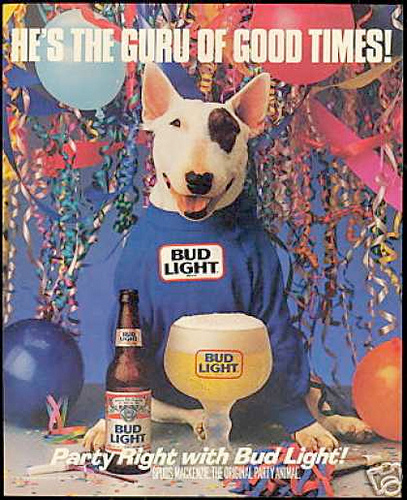 By the mid 90’s, Glazer’s corporate office had decided to expand their beer portfolio and to purchase beer distributorships. In retrospect, this decision should have been well received by the industry, however, the affect was just the opposite. For many years, Glazer’s had been the statewide distributor for Heineken in Texas, Arkansas and Louisiana. In addition, they had some other quality imports, including the Modelo portfolio in West Texas. But since beer was a secondary focus for Glazer’s, the industry wanted them to divest these products instead of expanding. Initially, Glazer’s efforts to expand were rebuffed. Through years of litigation, Heineken was able to change to a beer network in Louisiana and Texas, but not in Arkansas. In the late 90’s, Glazer’s purchased two small distributorships, Mid-State in Waco and Maxwell in Longview. The vendors reluctantly approved the purchase after receiving assurances regarding structure and performance, along with Glazer’s agreement to add senior management with beer backgrounds. It was the suppliers’ only option as Glazer’s had paid a high premium for both operations. Obviously, this was Glazer’s way to get into the beer distributing industry… a high cost of entry, but one they were willing to make. As we all know, Glazer’s is one of the ten largest distributors in the country, having acquired a number of operation since their initial purchases. They have chosen this path, selling off a number of imports and crafts to other distributors where they didn’t have any beer operations to service the market. Reyes, on the other hand, has been successful in buying and consolidating Miller/Coors operations across the country, in spite of the wishes of many imports and crafts. Some of these vendors have even gone out of their way when expanding into a Reyes-market to not appoint them. Even pulling out of a particular state just so they didn’t have to deal with Reyes. Bell’s, in Chicago, did this some years ago when Union Distributors sold. When Two Brothers Brewing Co. in Chicago started, they couldn’t find a distributor to handle their brands so they self-distributed. This eventually led to the creation of Windy City. Soon other crafts, who also couldn’t find a distributor, asked WC to take them on. In an effort to grow Windy City, Bob Collins joined the distributor when Union dissolved. With a unique business model, Windy City, which serves all eight Chicago area counties, has grown to a million cases with only crafts and imports. The distributor has become a highly respected competitor to the MC and ABI network, including Reyes. The recent announcement that Reyes had purchased Windy City comes as no surprise, and neither does the price that Reyes paid! Reyes intends to keep the operation as is, including management, so then the question becomes, why did Reyes even make the purchase? Obviously, Chicago Beverage’s footprint isn’t eight counties, so keeping WC would solve that problem, but from a ROI, is it the best option. Or could the reason be that, Reyes has a much better chance of keeping all the vendors and brands this way? Illinois has a provision in their franchise laws enabling a vendor to opt (buy) out of a house if it’s volume is under 10% of the distributors total volume. By keeping WC intact, and not consolidating it with Chicago Beverage, Reyes has eliminated the 10% volume option, or the “get out of jail” card! All we’re doing is rearranging the deck chairs on the Titanic..
During the first years in the beer business, while riding trucks as a helper, as we would drive to the next stop, the drivers would talk about brands from the 40’s and 50’s that had died and gone away. While I found their stories interesting, little did I know that there were a number of brands in the market at that time, that soon would also disappear or become non-factors. Including, but not limited to Schlitz, Jax, Pearl, Hamm’s, Pabst, Stroh and many others. Some years later, while at Texas Beers, I got a visit from the Spoetzl Brewery sales manager. He asked me to handle Shiner. At the time, all the brewery had was Shiner Premium, and we were lucky to sell even a pallet every two months. Shiner took off a couple of years later when Carlos Alverez bought the brewery and introduced the Bock. When Alverez bought the brand, Shiner was close to becoming extinct. Beer Marketer’s Insights just published a list of nine beers Americans no longer drink. For some of these brands, the explanation of their demise is easy. One such beer is Amstel Light. Once Heineken Light was introduced, it was obvious what Heineken’s priority would be, and it was not Amstel Light. The other beers that have gone extinct can be explained by pricing or lack of focus. For example, Old Milwaukee, Milwaukee’s Best (and light), and Miller High Light have all gone the way of the dinosaur. MGD lost its way, too. Budweiser Select never got off the ground, and now with Select 55, it won’t. Of all of these nine brands, Michelob is the one that should not be on the list. It really wasn’t that many years ago that Michelob was “the super-premium” beer. I can remember the days when Michelob was served at an event or party and thinking, “this is a special evening.” The iconic bottle not only stood out, but it really said something about the beer’s image. One could say that with the great success of Michelob Ultra, Michelob is the personification of a line extension becoming the primary seller. The same is true with Budweiser and Bud Light, Coors and Coors Light, and Miller and Miller Lite. If the trend continues, Michelob bottles will soon be part of the beer can collectors’ website. How all of this plays out in the retail trade is the real question. Can distributors, or even should distributors, continue to keep these brands alive and in these stores given their lack of support and the fact that there are many more brands, mostly crafts, that have a greater pull. These nine brands are from major suppliers, so can their pressure on the distributor keep them alive? As a former distributor I’d be inclined to offer brands that the consumer is looking for with the belief that the velocity rate will support the sales. Relationships can only go so far. In recent years we have seen a revival of certain “dead” brands with Pabst Blue Ribbon leading the way. As I mentioned earlier, Shiner was one of those dead brands not so many years ago, Schlitz is making a small comeback effort and there are others. Perhaps in the future we’ll see Michelob return and become the powerhouse it once was. 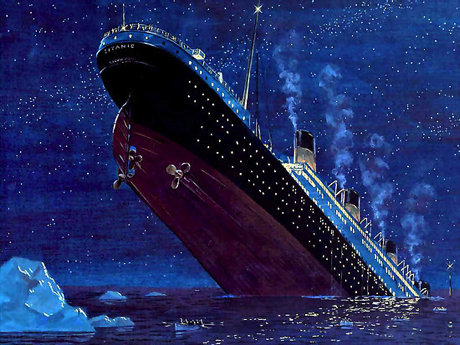 Until then, maybe all the industry is doing with these brands is rearranging the deck chairs on the Titanic! Divorce is probably as painful as death.. Hindsight is a wonderful thing. Success is always a matter of some luck and timing.